Best Load Balancing Hardware: A load balancing hardware is a device utilized for splitting the amount of network loads across different servers, somewhat the same way a software load balancer is used. It controls computers to respective servers in a network, built on conditions such as utilization of server processor, the number of server connections, and the total server capability. By using a load balancing hardware, one can reduce network downtime, effectively manage traffic prioritization, apply end-to-end application monitoring, supply user authentication, and provide protection or security against malicious attacks. Load balancing works by sending network traffic to a shared IP (often called virtual IP or VIP), which is an address connected to the load balancer. The load balancer will decide on where to send the request from the VIP. The decision making is usually administered by a load balancing method or strategy, a server health check, and a rule set (in the case of a next generation device). The request is then sent to the associated server and will response if successful. The response will be relayed either back to the load balancer or straight back to the end-user relying on the kind of the device. For performance, scalability, and reliability reasons, majority of websites with very high traffic uses some type of clustered server architecture. To equally appropriate the traffic to different web servers, a load balancing hardware solution should sit in the middle of the server cluster and the Internet. For additional level of dependability, it will also route traffic around a failed cluster node. Cisco Systems is well-known for building networking infrastructure hardware that keeps the most demanding networks up and running. 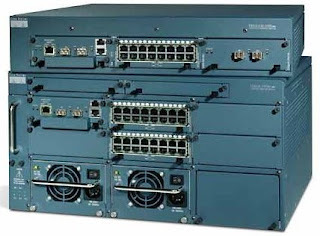 The best selling product of Cisco is the Catalyst 6500 system. It was made to handle with problems at layers 2, 3, and 4. 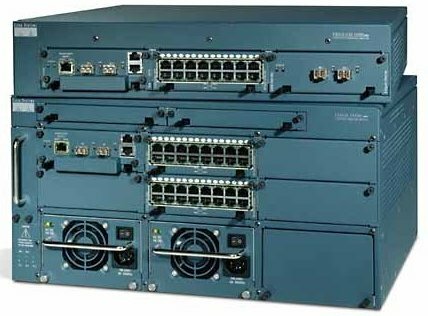 Built on a modular chassis, the Catalyst 6500 is flexible to deal with everything from switching to firewall services to SSL and IPSec services. Coyote Point provides the Equalizer line of products aimed at both the SME and higher-end markets. The E350si is its most popular product because it is loaded with features but comes at an affordable price. The layer 7 capability of the Equalizer makes it feasible to identify among users to direct them to the correct server. Other supported features include URL parsing, persistent cookies, and a virtual cluster technology that allows you to assign pools of servers to the highly or heavily utilized applications and services. The BIG-IP line of products from F5 handles the application acceleration problem (or layer 7) and the network traffic management problem. Also, BIG-IP helps provide security and and protection against threat of network attacks such as denial-of-service (DoS) attacks. F5 started the concept of application traffic management with the BIG-IP product line. Version 9 of the BIG-IP systems provides a suite of application acceleration and optimization features. F5’s Traffic Management Operating System architecture is specifically made to increase network reliability while enhancing end-user performance. If you have used or know other excellent load balancing hardware, please share them with us via comment. XiNCOM has some good load balancing hardware products. They are also more affordable than those you've mentioned. the Xincom products are completely different and from what I can see, do not offer any of the features that most companies buy the above products for. Cisco CSS 11503 in use now. Looking to upgrade to the ACE products!